Good, but doesn't quite live up to the hype. The problem here is that there isn't any real riffs. By that I mean the sort of crunching, aggressive guitar demonics that we've all come to know and love. The music is more of a swirling mass of guitars, keyboards, and multi-faceted vocals. 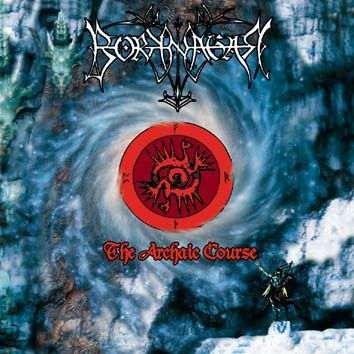 There are bands like Arcturus and In The Woods... that can get away from that inherent facet of heavy metal through convincing songwriting, composition and melodicism, but Borknagar isn't quite as mind numbingly brilliant as the above bands. Only rarely does a truly memorable melody rear it's head from the cacophony. It's probably intended though, and Borknagar, like Arcturus and In The Woods..., aim for the subliminal, rather than the overt. I must admit that the more I've listened, the more I've picked up, which is the mark of a lasting album. There are some blinding moments on this album, those that even upon first listen make you sit up and take notice. Parts of "Universal", "The Witching Hour" and "Ad Noctum" really blew me away. The seemingly random vocalizations tend come together, occasionally, in powerful fashion, with memorable results. At this point, I don't feel that the album, as a whole, is really that strong. However, I do find myself listening to it often, and am slowing but surely picking up on it's subtleties. Worthwhile, but not essential. Some of it is absolutely devastating, and the rest of the album is slowly working on me, I can feel it.